We will discuss a use of moving averages in our trading. 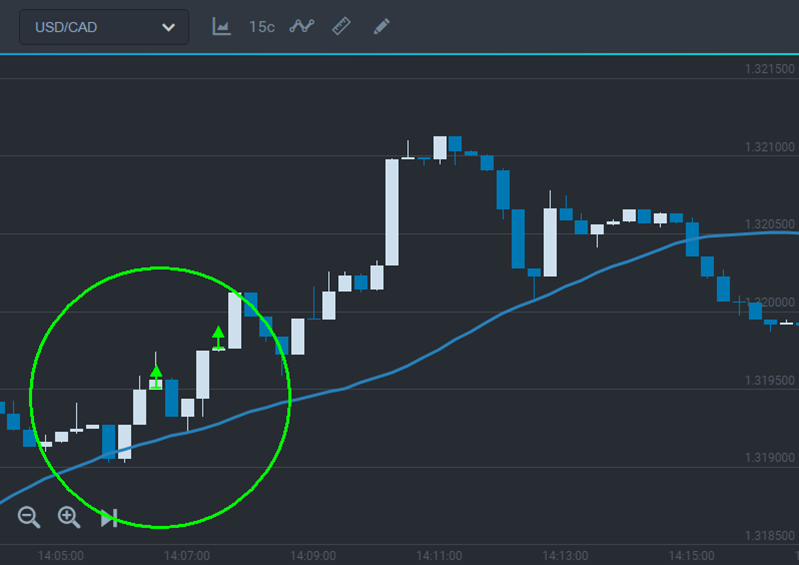 A price chart and moving average line give us two types of signals: a tendency reversal – when the price crosses the moving average level and a tendency continuation – when the price bounces off this level (an indicator is used as support and resistance levels depending on the price position). To receive these signals we need a moving average with a big period. 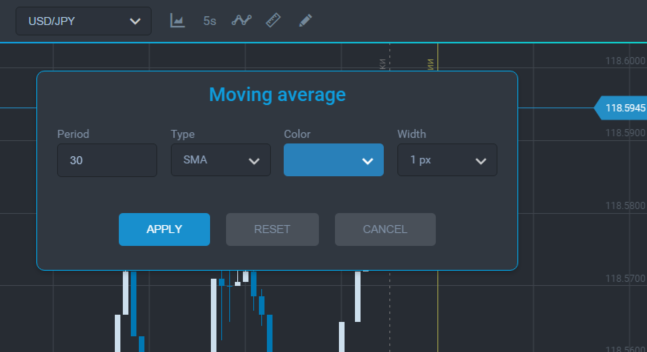 It is necessary to understand that you should choose an individual period for each trading tool. Let us review how the moving average with period 30 works on USDCAD chart. 3) Trade online after a new candlestick has appeared and bounced off the indicator line. 3) Trade online in a breakout direction after a new candlestick has appeared and closed outside the moving average line. 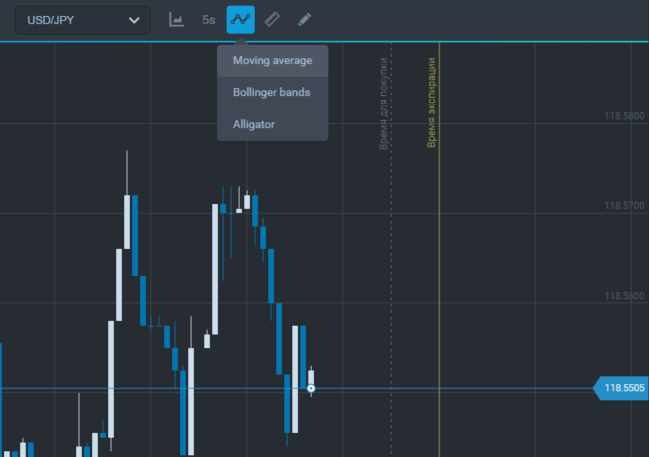 The indicator is easy in use and all you need is to choose an individual period for the trading tool.